13 exposures of 2 minutes each @1600 ISO between 22:36 and 23:05 UT on January 24, 2009 from Beilen. SQM reading 20.4 mag./sq. arcsec. 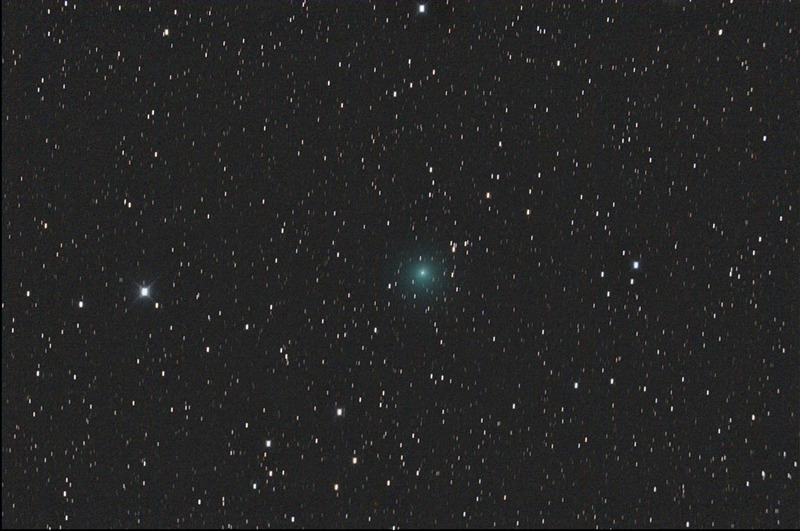 20cm ASA Astrograph and a modified Canon 40D. 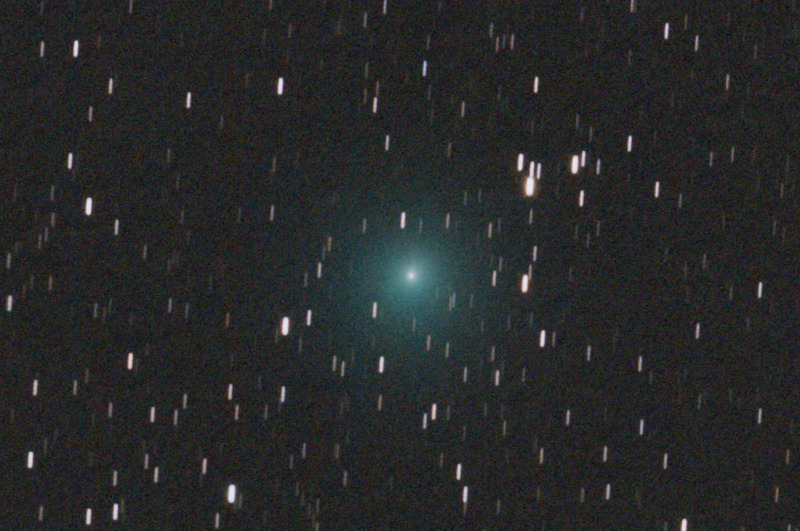 The 10Micron GM2000 mount was tracking the comet automatically. This is a 100% pixel size crop from the full image. 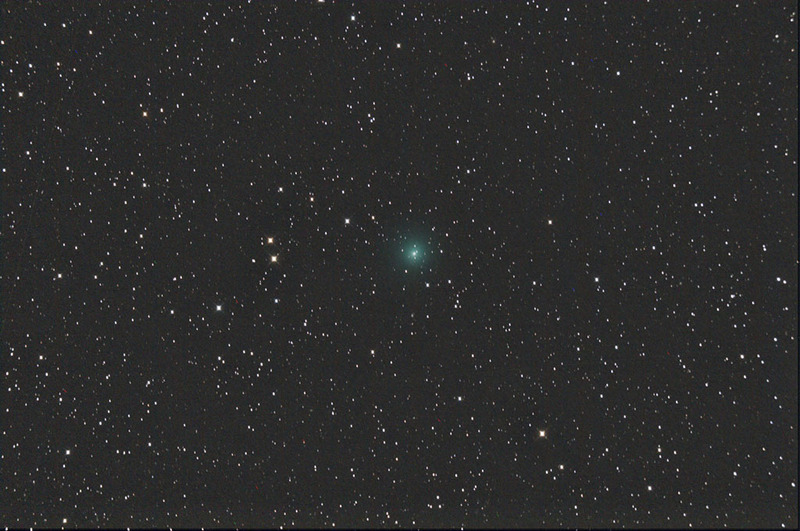 The image was made with an ASA N8 20cm f2.75 astrograph and a modified Canon 40D @ 1600 ISO. 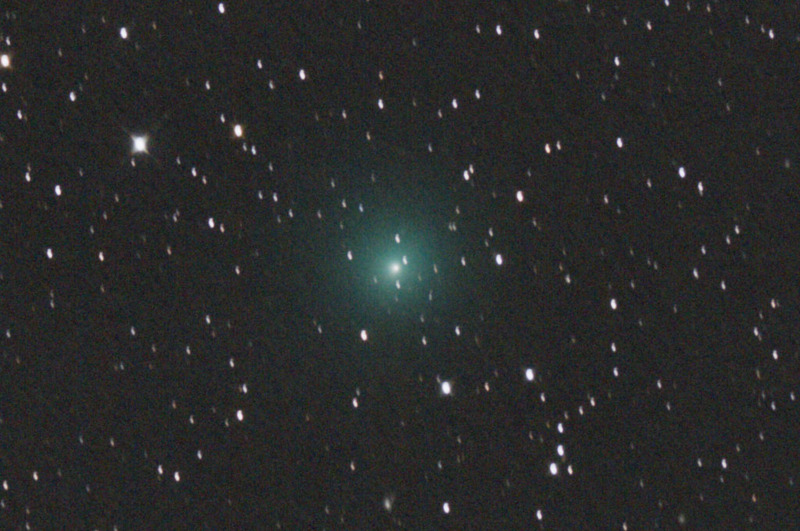 20 exposures of 2 minutes each @1600 ISO between 17:06 and 17:55 UT on December 25, 2008 from Beilen. SQM reading 20.3 mag./sq. arcsec.